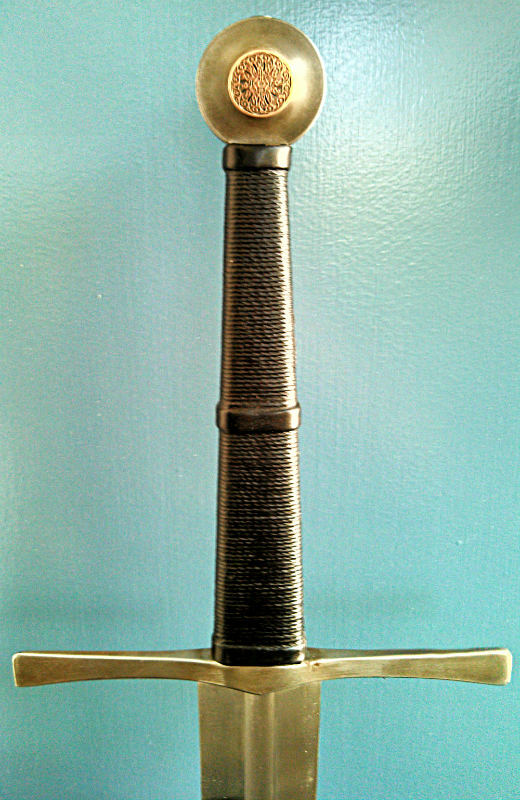 We've all purchased various new swords and reproductions from the various makers and manufacturers out there. But, as many of us know, you can often find really great deals here on myArmoury's marketplace, or over on similar sites like Swordforum. 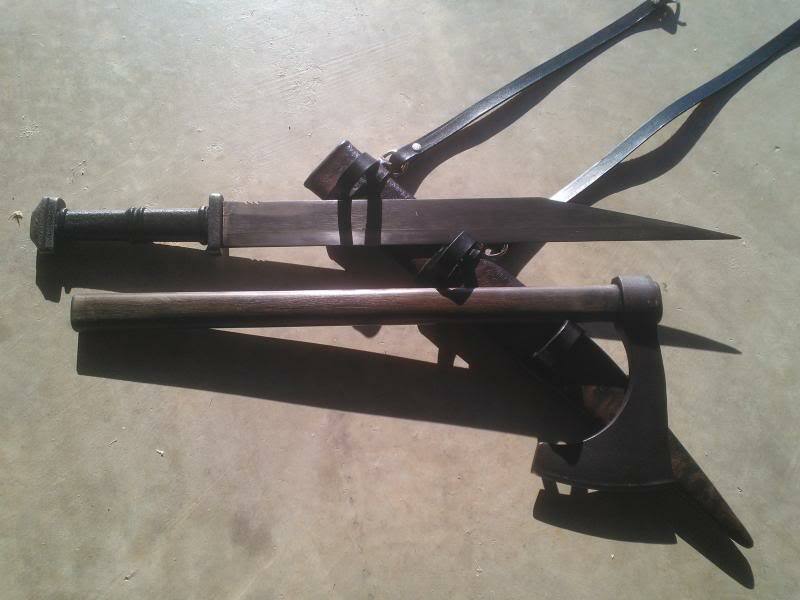 So what are your favourite swords or other reproductions you've picked up used? Mine are probably my Tritonia and DBK scabbard and suspension, my Saint Anastasie bronze sword with scabbard, and my Vinland and scabbard that are now in transit. I made a trade for a perfect condition Baron with a CF scabbard and it instantly went on the favorites of my collection list. I really love that sword. 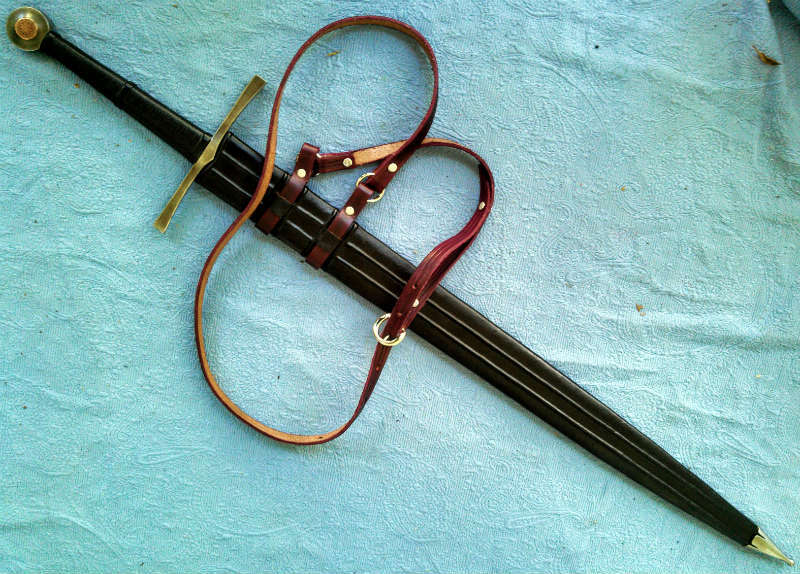 I bought Jonathan Sarge's ATrim Makers Mark XVIa with Crusader Monk Scabbard and Baldric. It's an amazing sword, IMO one of Gus's best designs. I don't know the meaning of the medallions on the pommel - this sword has passed through a number of owners, and that information has been lost. The langseax Dauðrnagl and kit. 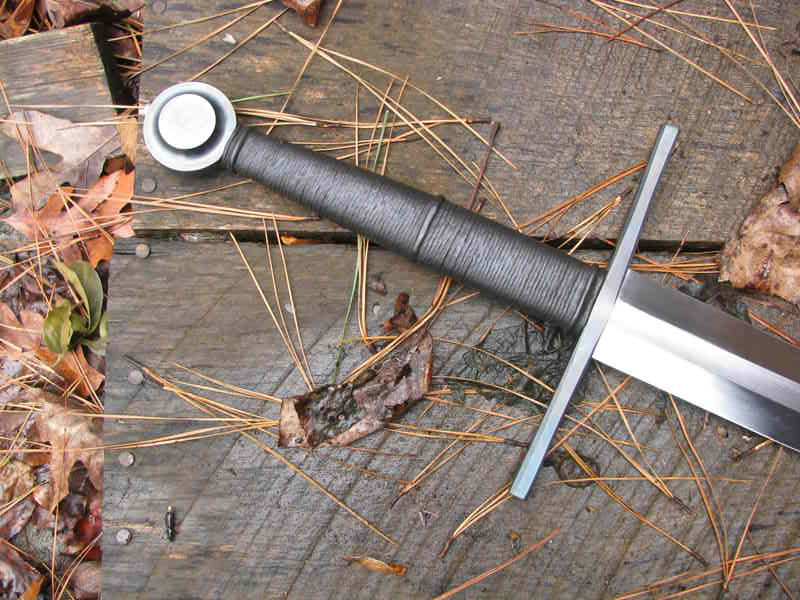 Seax blade by Lonely Wolf Forge. Hilt, scabbard and baldric by Crusader Monk. The axe is a Hanwei Bearded Axe with a shortened haft. Jonathan Sarge, AKA Crusader Monk, originally made this for himself with no intention to sell it, but you know how life goes. The sword is absolutely wicked and lovely, one of my all time favorites, and I still feel I paid too little for it. Most of my favorite pieces were custom commissions from the maker. I've purchased secondhand items, too, but I don't have many left. 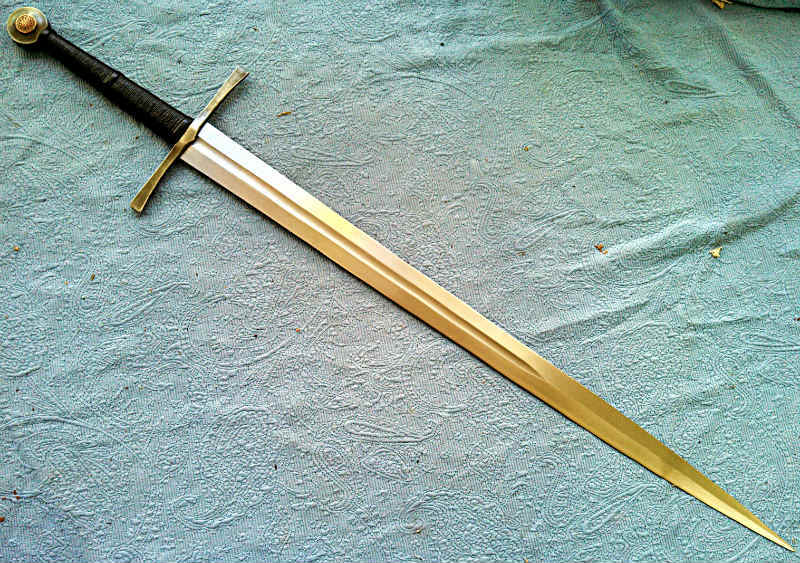 My favorite marketplace purchase was an ATrim XIIIa War Sword from Marc Ridgeway.